Deciding on a wedding venue can be one of the most exciting aspects of planning your dream day. This part of the planning process becomes all the more exciting when the time comes to go and visit each of the venues of your ‘maybe’ list! It is usually possible to get a good feel of a venue from their website and social media profiles. From the photos displayed online for each venue, you may be able to imagine how it would feel to get married there. However, there’s nothing quite like standing in the place where you could soon be saying your vows to really get a feel for each venue. When you are visiting each of the wedding venues on your list it is important to keep a few key things in mind. This will ensure that you leave the viewing with all of the necessary information to make the best choice! It is likely that some of your guests may wish to spend the night after your wedding. This gives people the opportunity to enjoy themselves late into the night without the worry of keeping track of time. It is also of course helpful for your guests who have travelled a long way for your special day and who wish to return home the following day. Asking about accommodation during each show-around will ensure that you are able to give your guests this information. At Mapperton we offer use of the Garden Cottage for guests who wish to spend the night, or of course for you and your new spouse! This is a three bedroom cottage just 100 metres from Mapperton House. This includes a bridal suite with an ensuite bathroom, a second double bedroom with twin beds, and a third single bedroom. The cottage will comfortably sleep up to six people. We have also partnered with three local businesses who can offer outstanding accommodation to up to 120 guests with many more options available for more guests. Asking which spaces, both outdoors and indoors, will be available to you on the day is an essential question. This is especially important when you are planning an outdoor wedding. If you need to have a plan B in place in case the weather turns, then it is essential to know that there is a back-up indoor space available to you. When asking this question you should always follow up by finding out if you will have exclusive access to the venue on your wedding day. When you book your wedding at Mapperton we guarantee you exclusive access from 10 a.m until midnight. During these hours you will be able to use the Coach House, the Gardens, as well as the Church and Garden Pavilion if required. If the venue is going to be responsible for the catering on your big day then it is essential to know what is available. Will the venue be able to accommodate any additional dietary requirements that your guests may have? And, how might the menu be altered where necessary? It is a good idea to find out if there are set times for serving food and how many courses will be included. This can help you to decide if you should provide any additional snack food. When enquiring about the menu and meal times, be sure to ask if a complimentary menu tasting is available so that you can sample the dishes before your big day. 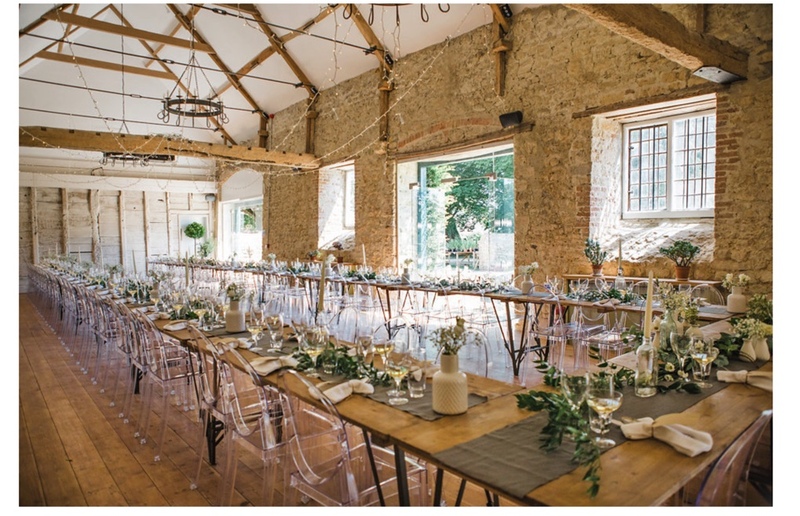 The team at Mapperton are able to provide an extensive selection of locally sourced food, giving you the chance to choose from three different highly recommend caterers! As you enjoy a show-around of each venue, you will be free to ask any questions that pop into your head, and there will also be plenty of time afterwards to discuss your plans further. Before you leave any wedding venue show-around it is important to get the contact details for the person responsible for your potential booking. You will then be able to talk further with this person regarding any extra information or details that you need. 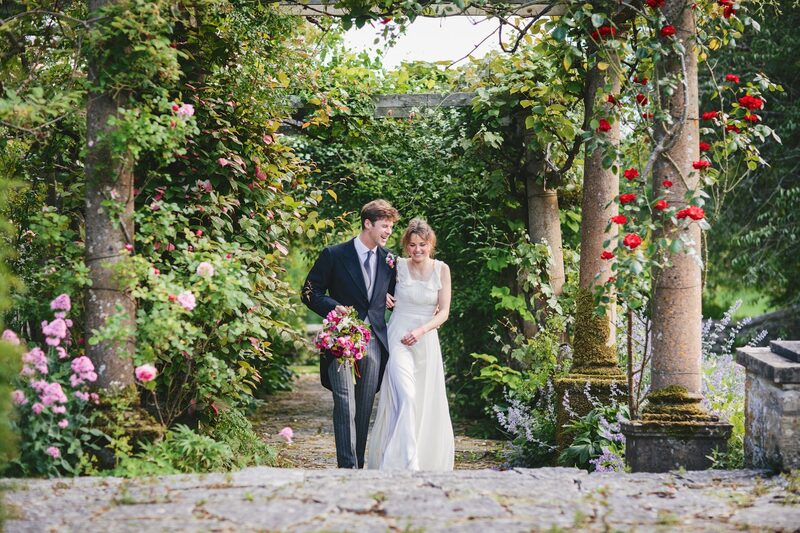 We’re certain that by the time your visit to Mapperton is complete, that you will already be able to envision the wedding of your dreams at our estate! Book your visit online now or give our friendly team a call on 01308 800114 to arrange it for you.